You'll certainly enjoy this home with a well-maintained backyard, including a newly constructed 30' X12' beautifully designed attached covered patio with two ceiling fans and lights. 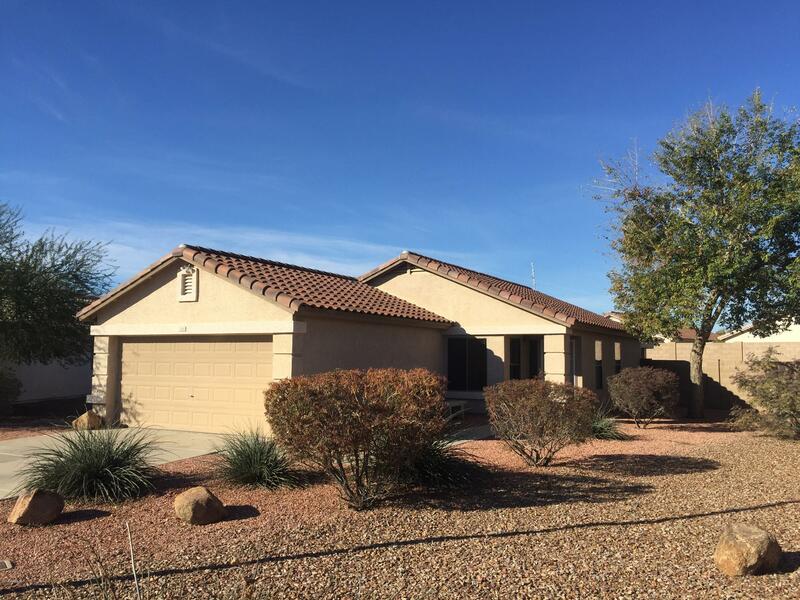 You must see this 3 bedroom, 2 bath, 2 car garage home, which has a refreshed interior, newer kitchen appliances, ceiling fans, mirrored wardrobes in 3rd bedroom, and window blinds throughout. Sparkling clean, it offers a lot for the price. Located on an oversized lot on a small cul-de-sac street. Walking distance from the HOA pool.